Whether a man wants to be suitably dressed for certain occasions or whether he just wants to express his attachment to tradition ? 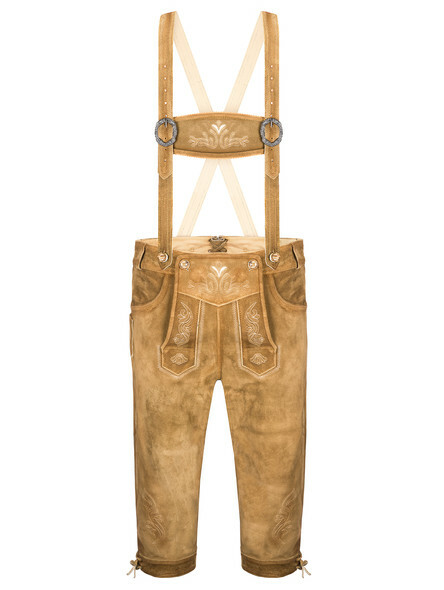 traditional knee-length lederhosen are for every man. It refers to the Bavarian tradition and enjoys great popularity even beyond the borders of Germany. 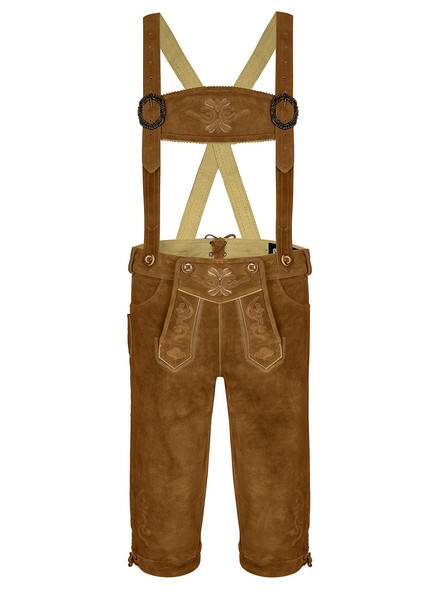 This is not really surprising considering how versatile real lederhosen can be worn. 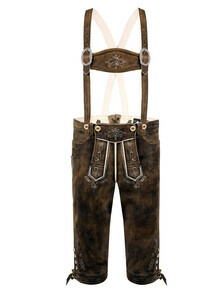 The men?s lederhosen are not just a ?must-have? at the Oktoberfest in Munich. Also, at other fairs, weddings, even at carnival as a carnival costume ? this traditional attire is outstanding. We offer different models in our online-shop. 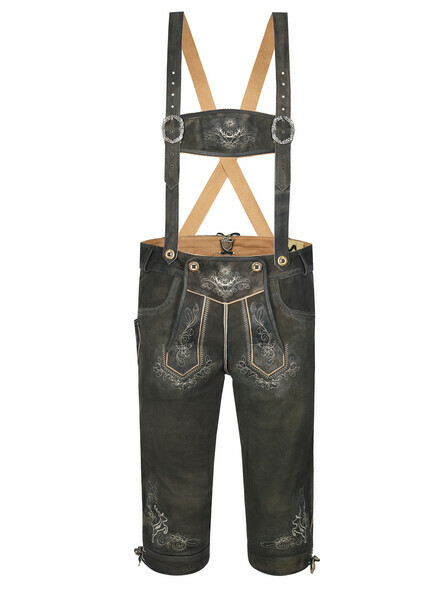 Each pair of our authentic lederhosen has its own style for every man. To cut a long story short ? if you are looking for a new pair of Bavarian lederhosen, just follow the mentioned steps below. If you decide to wear traditional lederhosen, that cover your knee, you make a good decision. The so-called ?Kniebundlederhosen? (Knickerbocker Lederhosen) have a length of about ¾ and, therefore, end just below the knee. No matter how big the stomach or how thin the calves ? it makes a good-looking leg and hides any problem areas. The trousers? leg ends under the knee and comes, as well as the waistband around the belly, with a lacing. This makes it easy to adjust the waistband to your body shape. If you still have problems -whether to choose a short or knee-length lederhosen ? just try on both variants. Of course, you should choose the one you feel more comfortable. Cowhide is our processed material for our price-performance winner. The food industry leaves beef skins behind as a waste product. This can be purchased particularly cheap. Besides this fact, it is robust, resistant and yet supple. This is one of the reasons, why cowhide is the most common type of leather in the world. In the form of suede, nappa or smooth leather ? it gives our cheap lederhosen a smart character. Buck leather ? 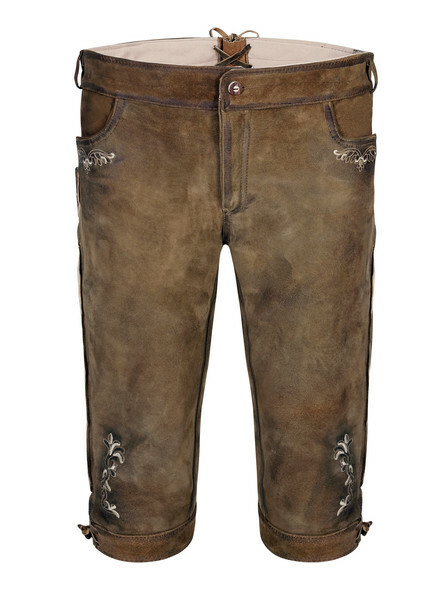 using the leather from wild goats - already has a long tradition in the production of authentic Bavarian lederhosen. It is slightly lighter than most other types of leather and feels like wearing a second skin. Despite the smooth texture of the leather, it convinces with its proven longevity. 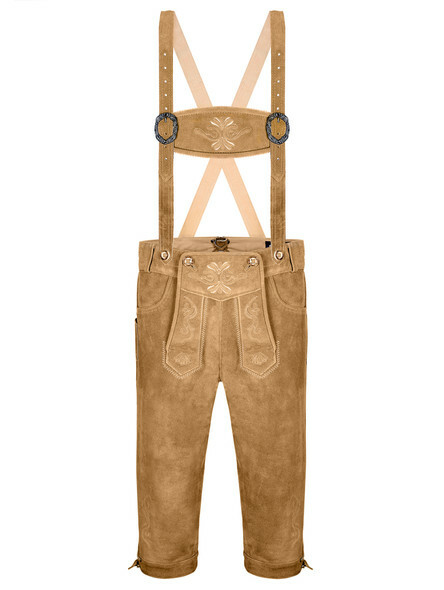 If you can´t afford traditional deerskin lederhosen and still don´t want to do without this unique, rustic flair ? choose chamois tanned goatskin. This complex tanning process takes several months and gives the leather its special characteristics. Leather is a natural product ? you should always keep in mind. Especially chamois tanned leather is characterized by individual color gradients and different textures. Therefore all lederhosen are a unique masterpiece. Exactly this individuality is appreciated. Now that we have clarified the question about the leather, we devote ourselves to wearing comfort. This is essentially dependent on the fit. With our size tables and/or the size calculator, which you can find directly with the respective product, you can determine the size suitable for you. If you vary between two sizes, we advise you to order them both to try them on personally. Many of our German lederhosen are even available in large sizes or plus-sizes. The traditional lederhosen should fit tight, as they will expand with each wear and adapt to the personal figure. However, if you feel too much freedom of movement at the first try-on that you could eat your way through the St. Johanner Dumpling Festival without any problems, the pants are clearly too big. Real Lederhosen are like a wine ? as time goes by it will get better. 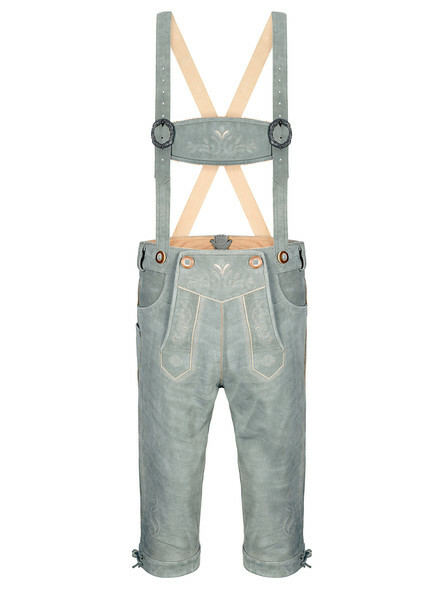 One would think that by designing men?s lederhosen there is few creative freedom. 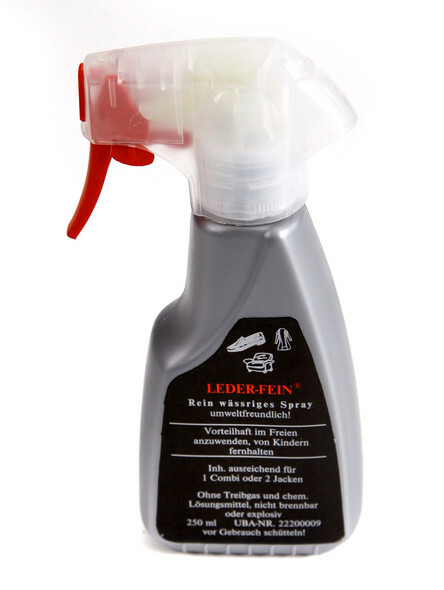 But it´s the little things that make lederhosen special. Everyone can find his individual style in our wide range of products. You can choose between classic embroideries in red, green or discreet ones. Moreover you can choose between different types of colored leather. You have the choice between antique vintage styles as well as clear dark brown- or black-colored lederhosen. 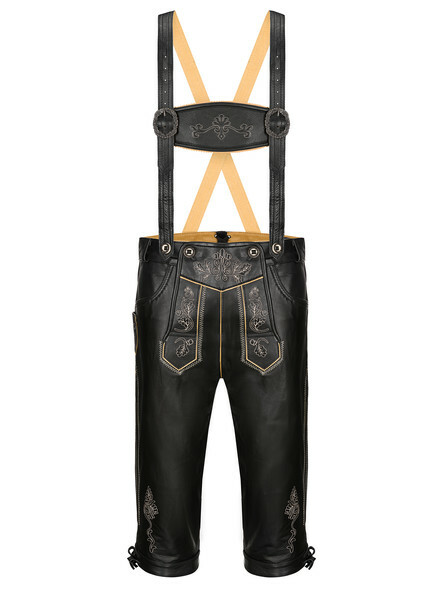 For the practical ones, who don't like the traditional flap or even braces, we even have lederhosen with zippers. Find your individual style! 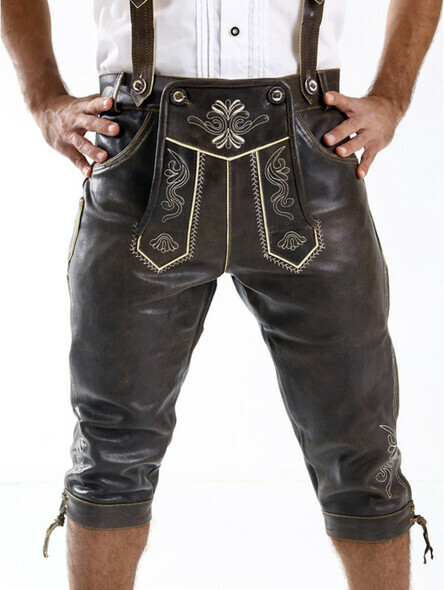 Each of our extraordinary lederhosen comes with a pleasant microfiber lining. 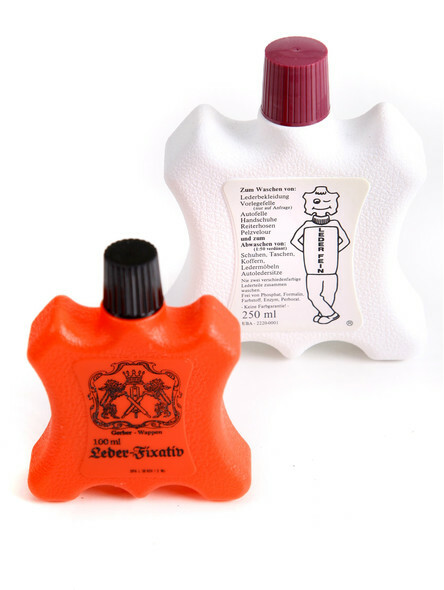 This lining material ensures that the leather does not stick unpleasantly to the skin even on sultry days of public festivals and also increases breathability. Think about how you would like to wear your knee-length lederhosen. Do you already own a pair of traditional shoes or a traditional vest? Which color do you choose for your traditional shirt? Or do you prefer to combine the lederhosen casually to a t-shirt? When it comes to choosing the leather and the embroidery, make sure that it matches your personal style. If you find your personal style, there are almost no limits to choose the right combination. Depending on the occasion, it can be worn in combination with a chic vest and, on colder days, with a traditional jacket. Accessories such as a fine leather belt or a charming ?Charivari? give your traditional outfit the final touch. All our classic traditional lederhosen come with their own suspenders, which are adjustable in size. Depending on your mood, you can decide whether you wear your men?s lederhosen with or without suspenders. Besides this, please don´t forget the most important thing about the whole issue: just have fun! 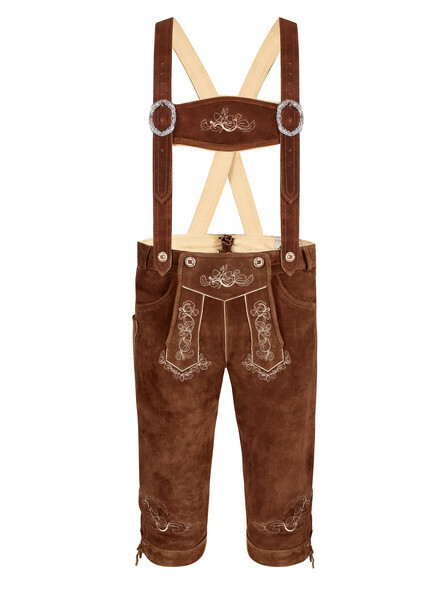 Unfortunately, there are no instructions on how to get your Oktoberfest lederhosen quickly and easy. In case of doubt, your personal style and wearing comfort are always decisive. In our online-shop, you can choose from a colorful selection of Bavarian knee-length lederhosen. We deliver them as fast as we can to your home. We strive for fast, world-wide shipping, which is even free within Germany. Any product that doesn´t fit can be returned easily. BAre you ready to find a new companion for parties and adventures? We hope our tips have helped you a little bit. For any further questions or suggestions, please do not hesitate to use our contact form or contact us by phone. Eine tolle Hose. 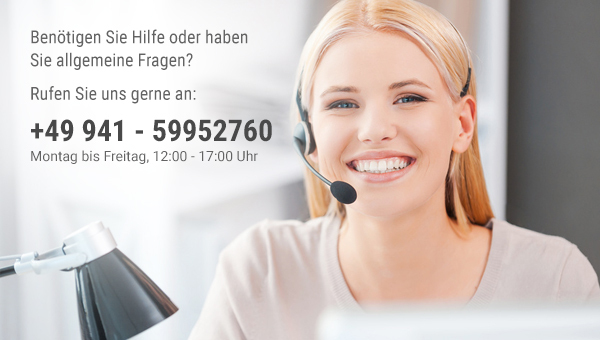 Schnelle Lieferung!